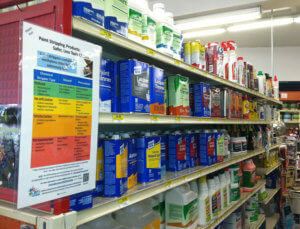 Two deadly paint stripping ingredients are for sale on hardware-store shelves today, right next to safer alternatives. Even if you use protective gear, the health risks may be serious. These chemicals are linked to 60 deaths in the United States, including the death of Michael Richartz of Portland, Oregon, who was stripping paint from a bathtub when he was overcome. That doesn’t begin to count the harm to the nervous system, reproductive system and children’s developing bodies. If you are a hobbyist or handy-person, here is more information to help protect yourself and your family. Two toxic ingredients to avoid are methylene chloride (DCM) and N-methylpyrrolidone (NMP). Soon, only safe products will be on the shelves when you shop at any of five major retail stores, thanks to efforts by our partners at Mind The Store. 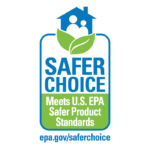 Safer Chemicals, Healthy Families has put together a list of safer paint strippers. Always look for danger, warning and caution labels on products. 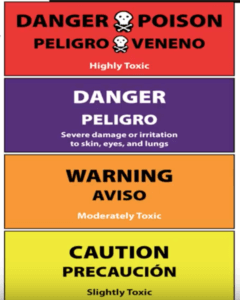 The words are used as a scale to communicate hazards, with “danger” as creating the greatest risk, and “caution” as less risky. 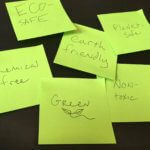 Beware the green labels: Not all green labels (including the word “green” itself) ensure that products are safe to use. Claims like eco-safe, earth friendly and nontoxic are not useful unless they provide more information. For many decades, chemicals in consumer products have been considered safe without any additional proof. There are hundreds of chemicals in use that have not been fully evaluated for health and safety. Under the 2015 reformed law, the Environmental Protection Agency will begin to take a closer look. In 2016, the EPA chose ten top-priority chemicals to evaluate for risk, including the two paint stripper ingredients that contributed to 60 deaths. These chemicals will continue to be on the market, possibly for years, as the risk evaluation process goes forward. 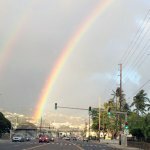 In addition to those top 10 chemicals, EPA has a short-list of more than 70 chemicals to evaluate. Those that made the list are either potentially harmful to kids’ health, neurotoxic, found accumulated in people’s bodies, or are persistent in the environment. These chemicals may be on the market for years before they are fully evaluated and regulated. No Replies to "Warning for Do-It-Yourself Projects"